One of the strongest assets of Porto San Rocco, in the North West of the Adriatic Sea, is its traditionally strategic positioning west of Venice and near the Slovenian and Croatian borders. This is often near the ideal beginning or end of a Croatia/Italy luxury charter yacht itinerary - being one of the reasons why superyachts and returning tourists travel to this famous luxury yacht charter holiday spot in Italy. Porto San Rocco is a newly-developed yacht charter destination with an elegant “old” look. It features the typical character that we normally observe of quaint Italian fishing villages, while providing all the essential facilities and services that you would expect from a modern and high-end tourist spot. Porto San Rocco started out as a sprawling shipyard. It went through 15 years of continuous development and upgrading and was transformed into an upscale luxury yacht charter holiday resort that it is today. It is in close proximity to the border of Slovenia and is in fact one of the favorite destinations of moneyed Russians, who turn Porto San Rocco as their watering hole during weekends and summer months. Porto San Rocco is known as an old shipyard which metamorphosed into an exclusive superyacht charter holiday enclave. 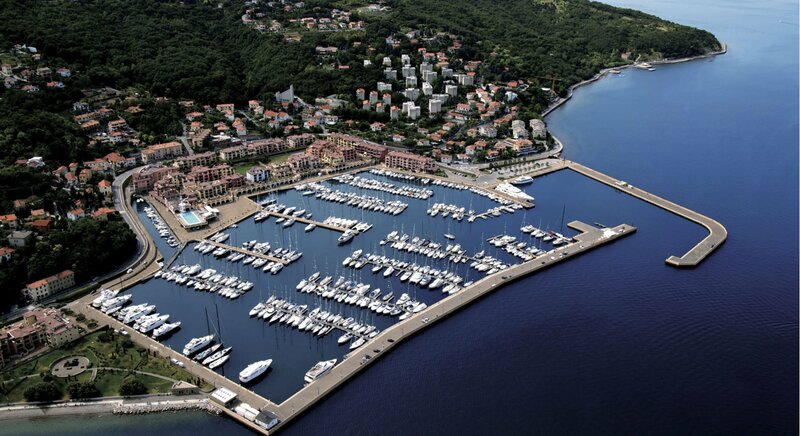 It lies in the northern region of the Adriatic along the Muggia Bay, and because of its ideal location, Porto San Rocco is the perfect base for yacht charter aficionados who are cruising to popular tourist destinations within the Dalmatian Coast. Yacht charter and yachting enthusiasts cannot help but adore Porto San Rocco. This charming tourist destination offers one of the best views of the inside and outside section of the marina. Aside from its charming and quaint main district, the town also features several interesting cultural sights, most of which are found in the inner sections of the town. One notable aspect about Porto San Rocco is the fact that it is now the best place to be if you are looking for whirlwind but practical sailing experience within the Dalmatian coast. This yacht charter holiday enclave has been granted in 2010, duty-free status in the sale of fuel to luxury yachts and superyachts that ply this maritime route. Within the port area, yacht charterers and ocean tourists onboard luxury yachts can find essential amenities and services, including those for an assortment of water sports activities. Porto San Rocco is also the shopper’s dream haven, as it hosts a slew of shopping establishments that carry a diverse and interesting collection of crafts and souvenir items. In addition to this, yacht charter enthusiasts can also find the best restaurants and other food venues that serve a wide range of delectable Italian recipes as well as international cuisine. If you are looking for the best value for your money, then you will not be disappointed when decide to sample the local dishes that are served in these fine restaurants and other food venues. The life and activities in Porto San Rocco obviously revolve on maritime concerns, being an important base for yacht charters who are exploring other destinations within the region. Yet, your stay in Porto San Rocco is actually a holiday experience by itself. Popular attractions and important places to visit while you are in Porto San Rocco include the hamlet, a resident enclave that was based on the design concept of Luigi Vietti, Cortina d’Ampezzo and Costa Smeralda. A leisurely walk along the narrow alleyways will show the the hotels, restaurants, bars, spas, pizzeria and even the shopping centres within Porto San Rocco have designs and styles that are distinctively Venetian. Indeed, yacht charter enthusiasts have many why they should include Porto San Rocco in their holiday itinerary.